Most of the retailers are offering up to 50 per cent off. Once again End of the Season Sale (EOSS) is on, and Indian shoppers are hoping to grab the best deal that this sale offers. 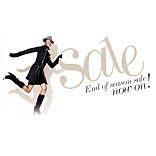 The winter EOSS usually coincides with the festive season, thus making it an exciting time to shop. Moreover, this EOSS is also attributed as ‘clearance sale’ as it basically held to clear the stock from earlier season. Reiterating the same, Ivana Perovic, CEO, AP Group, stated, “The response to the EOSS has been great so far, however it has only been a week since we have gone on sale and we hope to see great increase in footfalls and visits to our e-commerce website”. Undoubtedly, this is the rejoicing period for retailers as well as shoppers. However, for retailers EOSS is just not about clearing the stock, it is more than that. Moreover, an EOSS helps reduce excess inventory in a store. As time and again, store receives stock according to local demand that at times results in excess inventory that clutters a store. EOSS helps in clearing up that space. The price conscious Indian consumers always eager to try the best of brands and fashion with most discounted rates. This season, most of the retailers are offering up to 50 per cent discount. Clothes and accessories seem to be the most discounted categories this season. Likewise, brand Holii is offering up to 30 per cent discount on its handbags. EOSS increases traffic, especially it brings value-based shoppers to malls. Also, sometimes the attraction to get lower-priced goods increases the range of customers of a particular brand. Often, during the end of the sale, retailers plan special visual merchandising that not only help in increasing sales but also make the sale season more than just about shopping. Striking the similar note, Deepak Aggarwal, Managing Director, KAZO, said, "Turnover is not really affected from the sales as it is already in the budget and planned well in advance." No doubt, this season has really picked a good start, but will this momemtum remain continue? We have to wait and watch.